Published April 9, 2019 at 9:30 a.m. This morning at just after 7 a.m. workers unfurled the massive 414 flag on the exterior of City Hall. 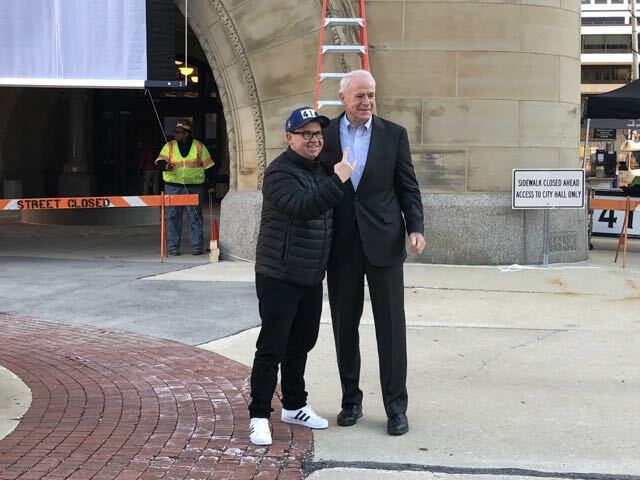 Mayor Tom Barrett and flag designer Fred Gillich were among the attendees. "I'm so proud of Milwaukee. I can't think of a better place to live. I've advocated for Milwaukee all of my life, and this flag is my contribution to the city of the future," says Gillich. 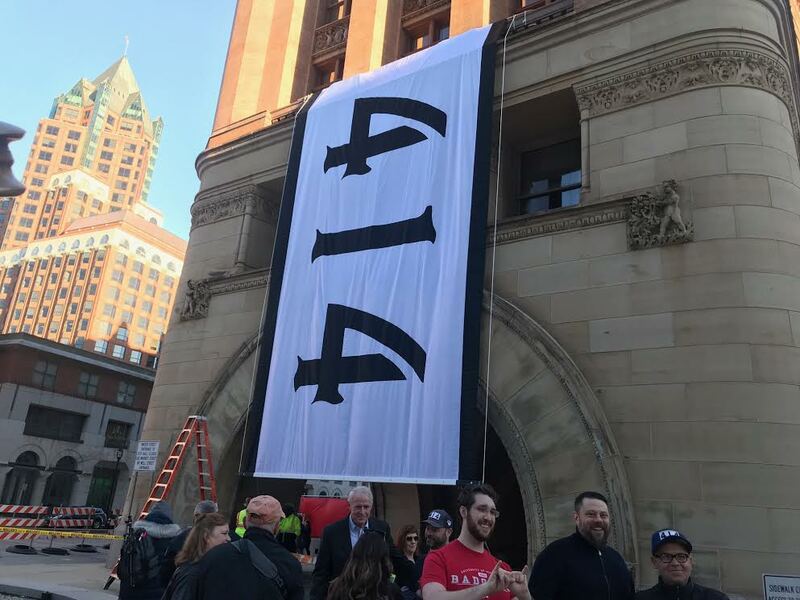 The 414 Flag measures 20 feet by 36 feet and hangs from the balcony on the south side of City Hall.